Ladies attending a charity lunch at Old Trafford on 21st November will be treated to a one-off performance by world famous illusionist Dynamo, his only 2011 Manchester appearance. The most exciting British magician in decades. Ladies attending a charity lunch at Manchester United’s stadium on 21st November will be treated to a one-off performance by world famous illusionist Dynamo. 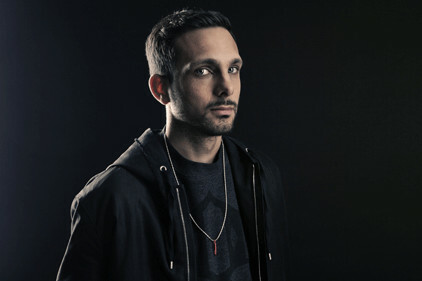 On the back of his smash debut TV series ‘Dynamo: Magician Impossible’ Dynamo has announced that he will attend the Manchester United Foundation Ladies Lunch event, which will be his only appearance in Manchester. Raising money for the Foundation, The Christie Hospital and Francis House Children’s Hospice, the event will be hosted by television presenters Eamonn Holmes and Ruth Langsford. Guests will enjoy musical entertainment by Cole Page and Will Mellor, fashion by Harvey Nichols, complimentary cocktails, unique auction and raffle prizes and fine dining in one of Manchester United’s hospitality suites. Tipped as the most exciting British magician to emerge in decades, Dynamo had stunned audiences and celebrities around the world with his genre-bending cocktail of large scale illusions, incredible sleight of hand and innovative street magic. The 28-year-old’s celebrity fans include; Rio Ferdinand, Will Smith, Diddy, Jay Z, Coldplay, Russel Brand, Gwyneth Paltrow, The Black Eyed Peas and Paris Hilton. The Manchester United Foundation Ladies Lunch takes place in the Manchester Suite at Old Trafford Stadium on 21st November from 12 noon. Tickets for the event are £75 per person OR a table of 10 for £700. Visit www.mufoundation.org for further information.